Jim Cicchese is a longtime resident of Southern California and a licensed Realtor who has been working through the Los Angeles offices of COMPASS since 2017. One of Jim Cicchese’s favorite recreational activities is traveling up the California coast and visiting oceanside towns such as Carmel-by-the-Sea. Rated “One of America’s Top Beach Towns,” Carmel-by-the-Sea is near multiple attractions and has many quaint shops and restaurants. 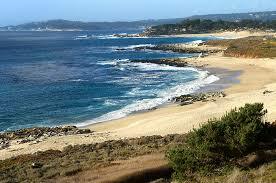 The key draw of the city, however, is the beautiful white-sand Carmel Beach. Carmel Beach offers panoramic views with features such as the rugged Carmel Point and an iconic Frank Lloyd Wright house. For a bird’s eye view of the beach and ocean, visitors can hike around the gravel Scenic Bluff Path that winds through Monterey’s cypress-lined hills and offers eight stairways down to the sea. Nature-lovers can enjoy not only breathtaking geography and vegetation, but marine life that includes otters and dolphins. Surfers can enjoy great waves as well as crystal clear water and incredible inland views of Port Lobos and Pebble Beach.